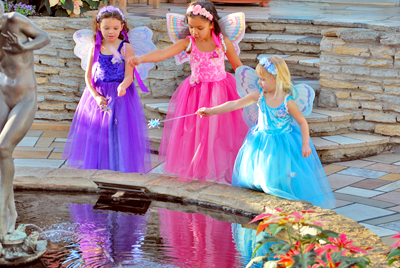 Fairy Finery is dedicated to nurturing the imagination and magic that lives in young children. and gift items give a child’s imagination room to soar. And because all of our dress-up items are comfortable, durably made and easy to care for, they meet the criteria of even the most discerning of fairy godmothers. for a fair wage, under good working conditions. We guarantee your satisfaction with our quality.